Here are your instructions for managing your settings and accessing your Specialty Group. 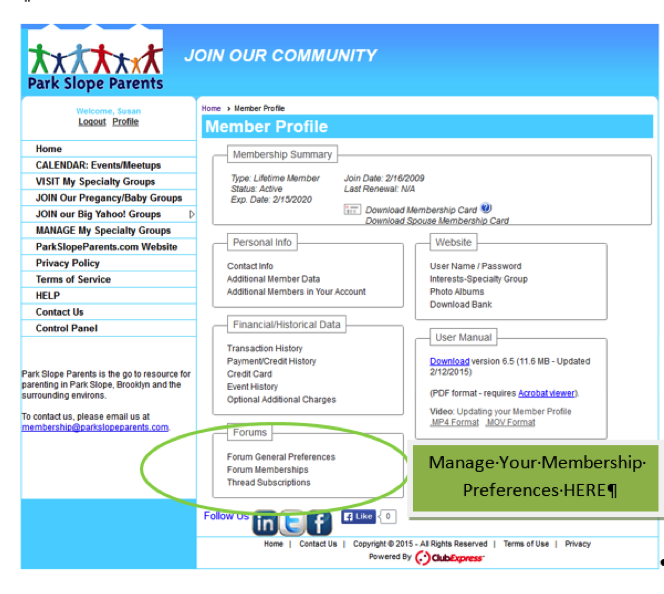 These are step-by-step instructions, with pictures, to show you how to update and manage your PSP Career Networking Group settings on your desktop. Want to know how to do it on a mobile or tablet device? Go here. 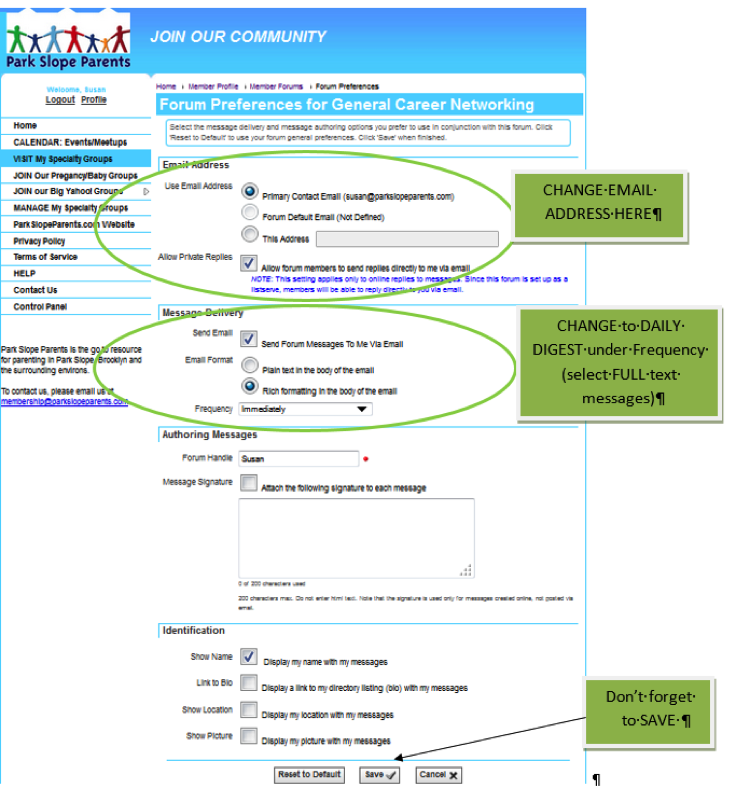 Note: we've used The PSP Career Networking Group as an example, but this process works for all Specialty Groups. 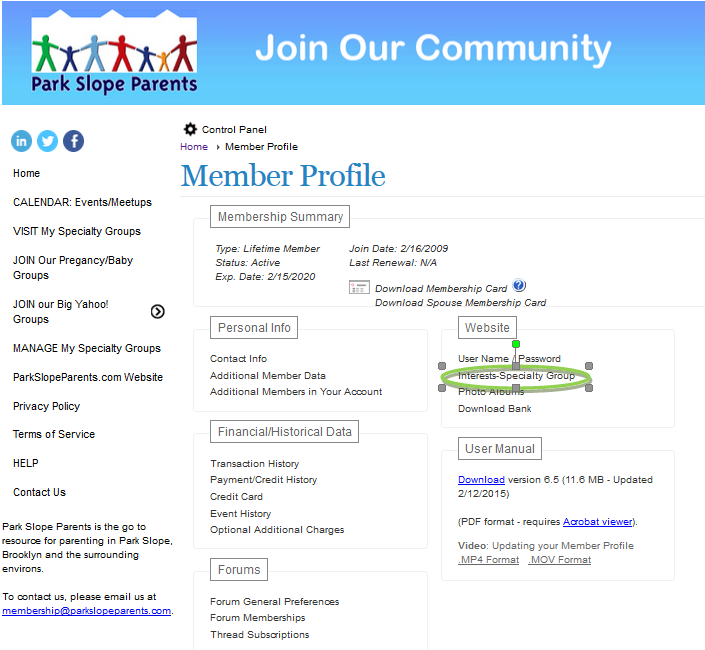 UNCHECK the Park Slope Parents Career Networking Group box. It’s at the TOP of the page for ease.